What can I say about Hamilton that hasn’t already been said? Not a lot, obviously. This isn’t going to be a review, let me state that up front. I promise you, Lin-Manuel Miranda isn’t getting to that 200th page of Google wondering what this one guy thought about his musical. You know, unless for some reason he is. In which case, hi, Lin-Manuel Miranda! Shiny was a wonderful song, and it got me in the mind of a giant murderous crab in a way I didn’t think I would. Simply put: Hamilton doesn’t live up to the hype so much as it smashes the hype, then continues to rise and at some point you have to wonder how something so wonderful could ever exist. I should back up for a minute. I got to see Hamilton, the hit musical about the guy on the 10 dollar bill and was shot by the 3rd Vice President back when we solved our problems with pistols instead of vague posts on Twitter. I got to see this because a very good friend of mine managed to snag a set of tickets to the Kennedy Center about a week ago, and then offered me one. I wish it was a little more exciting than that, because tickets for this play are still extremely hard to get. I don’t know that I can make a joke about this. At this point you run a better chance of building your own time machine, going back in time, and forcing the real Alexander Hamilton to perform his own rap musical. Which I guess technically would involve spoilers. Going in, I knew that the play used every trick it could to convey what was everything you slept through in history class, but in a more exciting way. To put it in nerd speak, think of James K. Polk by they Might Be Giants – they wrote that as an experiment to convey some really boring information but through song form. Yeah, I was underestimating what this play was actually about. 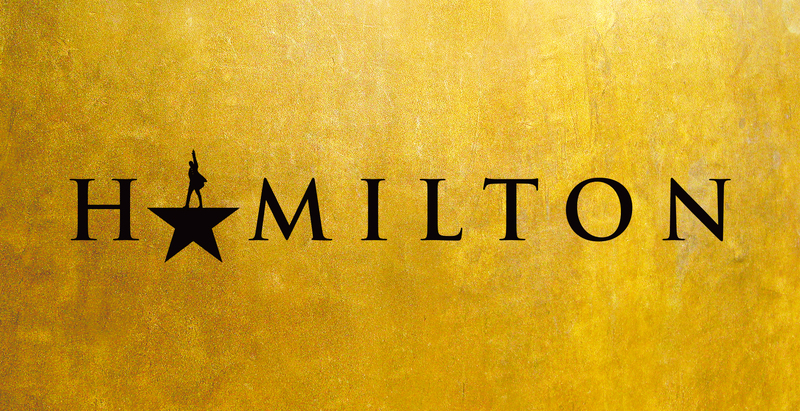 Hamilton is obviously a labor of love for the writer, Lin-Manuel Miranda. It’s a complex portrait of a man who is obsessed with legacy, who just wants to be remembered and made some pretty huge mistakes along the way. There’s no attempt, really, to gloss over some of the more terrible things he did, or to downplay his temper or attempts to defend his honor. The latter, of course, would be very difficult given that he died in a duel against the Vice President of the United States. I keep coming back to this point, mostly because Miranda’s musical takes another look at Aaron Burr, painting him as a man that has some of the same insecurities as Hamilton. Someone who is cursed with being remembered for the worst thing he’s done, and living in Hamilton’s shadow. But Hamilton is a story about America. It’s a hopeful story about America. It’s one that points out several times that Hamilton came to America to better himself, to take advantage of his opportunities in this new land. He was an Immigrant, one that didn’t have a lot of advantages, but did what he could to make this land better. That’s the part that really struck me, especially lately. I’m not going to turn this into a political rant (and I could, because I have a lot of anger, and the first few drafts of this were pretty angry at our current situation…) but right now… things aren’t good. I think we’ve lost sight of why America is this amazing country, this amazing experiment that was built by not just Immigrants, but people that wanted a better life and wanted the opportunity to do so. The color blind casting, the use of contemporary music, all set to period costumes reminded me that what Miranda is writing about isa country where all of this is supposed to be possible. Yes, Hamilton lived a long time ago. Yes, he also died in a violent, unnecessary manner. But he also worked hard. He tried to make himself better, not at the expense of others. He wasn’t perfect. To me, that’s what the musical boiled down to. A sense of optimism. There’s the text, which is about optimism, and the metatext, which itself is an optimistic endeavor. A musical with contemporary music but period costumes? About one of the least-known founding fathers? That’s a hard sell. It’s a big risk. But it’s one that pays off. It’s one that tells this amazing story. I was lucky to be there in the Kennedy Center in the room where it happened a few weeks ago. I realize that. But the best I can do right now is write this more as a thank you. A thank you to Lin-Manuel Miranda for creating this wonderful piece of art that has inspired me to go out and do more. And this musical should inspire you to go out and do more. It should inspire you to go out and be better. It should inspire you to go out, arm yourself with your greatest talent… whether it’s music, or writing, or art, or whatever… and go out there and do great things. Thank you for this musical. Thank you for my friend who took me to it. And thank you to Lin-Manuel Miranda for your glorious creation.